We conclude our special on the Raid System label and collective with a mix from their latest member and close friend of the Rhythm Inc and Turntable Radio family, Ken One. Regular listeners will remember Ken from the many live sessions we did with him on Turntable Radio and more recently the Skratch Evolution special we ran at the beginning of the year featuring exclusive live sets from the man himself and the cream of the Japanese underground. If you missed them you can catch all 4 of them here and the rest of them on Turntable Radio. For the first two parts of our Raid System special, featuring Broken Haze and XLII respectively, click the following links – part 1, part 2. 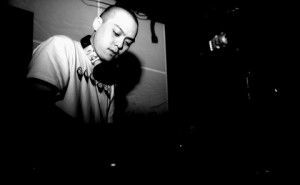 A short introduction to the man runs something like this… Ken is without a doubt for me one of the most interesting and underrated scratch DJs to come out of the Japanese scene in the last ten years. A true underground soldier he did his thing in the battle scene, like most scratch DJs, before moving on and focusing on both his own music and working with various other underground Japanese musicians and labels like MC Kan, Olive Oil, DJ Baku, Back to Chill or the Pop Group and Steppin’ Ahead label. A quiet person he’s always found at events around Tokyo both on stage and in the crowd. His music has primarily been focused on the scratch end of things but married with his love of hip hop and electronic music, resulting in rather unique productions that bridge from the insular scratch music niche to more experimental sounds. In fewer words, he’s a dope DJ and producer you need to check. Find more on him at his myspace and over at TTR where you can listen to his music and the many specials we organised together while I lived in Tokyo. For this mix Ken put together 22 minutes of absolute fire covering many of our favourites here at Rhythm Inc tower, all mixed and cut up in an absolutely flawless style. This is a great taste of his live sets and the perfect way to round up the Raid System showcase. Look out for more from him, XLII and Broken Haze on the label in the coming months. Now though, sit back, crank up the volume and take a trip through the Tokyo underground. This entry was posted on Wednesday, April 14th, 2010 at 10:00 am. It is filed under Podcasts, Guest Mixes and tagged with Japan, Ken One, Raid System. You can follow any responses to this entry through the RSS 2.0 feed.